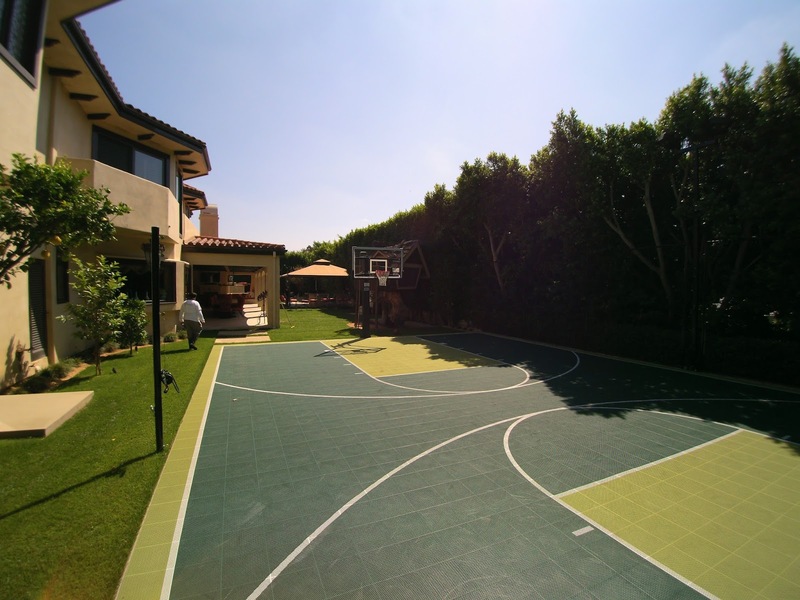 Contribute to the environment while having a blast with an eco-friendly game court in your backyard! Sport Court of Southern California offers concrete services, but also alternatives to concrete with our proprietary technology called SportBase. While concrete is a greatly affordable option, it is impervious meaning it does not allow liquids such as water to go through it. This helps contribute to erosion. There are pervious concrete options. But studies have shown that over time that debris within water flowing through the pervious concrete can create a build up and eventually stop the flow. By using SportBase, the subsurface allows you to "go green" by keeping the environment in mind. In addition to reducing an overwhelming amount of carbon, Sport Court game courts are made from 100% of recycled plastic. There is no use of toxic topcoats and no requirement of chemical cleaners is needed. Also, Sport Court's home basketball courts are produced in a facility that received a "zero waste" status from the SWCA Environmental Performance Group. Our game courts are playable in weather up to 185 degrees Fahrenheit. During the winter season, there are no runoff issues as our courts have a water drainage system installed in the surface. Due to the modular design, Sport Court game courts and the subsurface can be picked up and move with you. Our products are made to last for 15 years or more for you and your family to enjoy for years to come. The portability of our courts allows clients to take their courts with them if they move rather than building a whole new court. This help reduce overall carbon footprint of installation and cost. Game courts are engineered with Lateral Forgiveness technology, provided the best surface for athletes of any age. No worries about scrapes, red burns, concussions or other injuries with this high-quality shock absorption product. Our flooring not only keeps your head in the game but is made for champions. Create an environment that is fun-filled making everlasting memories by installing a game court with Sport Court today!